Reader in Communications in the Institute for Communication Systems (ICS – formerlyknown as CCSR) at the University of Surrey,UK. 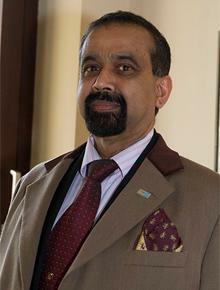 Affiliations:Senior Member IEEE Senior Fellow of Higher Education Academy. 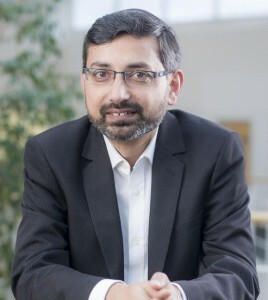 He has lead a number of multimillion international research projects encompassing the areas of energy efficiency, fundamental performance limits, sensor networks and self-organising cellularnetworks. He is also leading the new physical layer work area for 5G innovation centre at Surrey. He has a global collaborative research network spanning both academia and key industrial players in the field of wireless communications. Director of the Master Course on Islam in Europe, University of Padua. 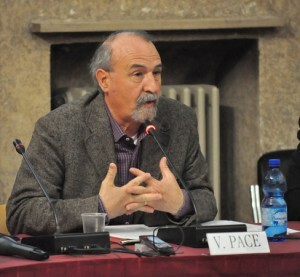 President of the master’s degree course in Sociology at the University of Padua. Professor of Sociology, University of Padua, Department of Philosophy, Sociology, Education and Applied Psychology. 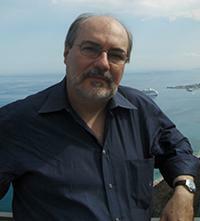 His main research interests, during the last 20 years, have been Islam in the West, religious pluralism, immigration, multiculturalism and related issues: Muslims in Europe, the role of media and communication, the political use of Islam and Islamophobia, the construction of reciprocal images and imaginaries, religious conversions, the establishing of religious-based networks, the production and dissemination of Islamic knowledge, mixed couples, family ties, interreligious and social dialogue, conflicts about mosques, identity formation, political and cultural pluralism, body and health representations, and many others. Associate Professsor at the Department of Philosophy, Sociology, Pedagogy and Applied Psychology (FISSPA). Professor of Mental Health and Cultural Diversity at the Health Service and Population Research Department at the Institute of Psychiatry (IoP) at King’s College London and Honorary Consultant at the Psychosexual and Relationship Service at the South London NHS Foundation Trust (SLaM). Pathways into care of ethnic groups, health care beliefs and help-seeking, common mental disorders in different ethnic groups, cultural identity in adolescents, deliberate self-harm. Professor of Cultural Psychiatry & Epidemiology, Queen Mary University of London. 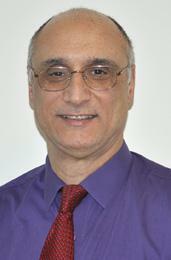 President of WACP and Public Health Lead at the Royal College of Psychiatrists. Co-founder of Careif (www.careif.org), an international mental health charity that promotes work for young people and their health through culture, sport and arts. Editor of British Journal of Psychiatry, and International Journal of Culture and Mental Health. 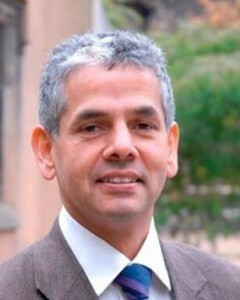 He is on the editorial board of Transcultural Psychiatry, Ethnicity and Health, Int.J.Social Psychiatry, and Social Psychiatry and Psychiatric Epidemiology. Director of Research at CNRS (Centre National de la Recherche Scientifique), Paris. 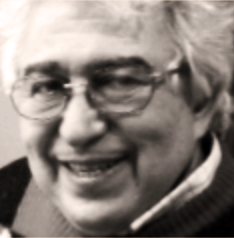 He worked as a research scientist in biophysics from 1978 to 1990. From 1990 onwards, he turned to the philosophy of physics. 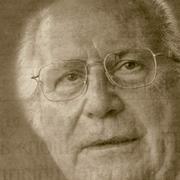 He edited texts by Erwin Schrödinger and developed a neo-kantian philosophy of quantum mechanics. He also studied the relations between the philosophy of physics and the philosophy of mind, working in close collaboration with Francisco Varela, and is currently developing a phenomenological critique of naturalist theories of consciousness. Areas of interest: Philosophy of mind and consciousness, Epistemology, Philosophy of modern physics, History of physics in the twentieth century, Philosophy of science. Dal 1992 fa parte della comunità religiosa dei Ricostruttori nella preghiera. Nel giugno del 2000 ottiene la licentia docendi in antropologia teologica presso la Facoltà teologica dell’Italia centrale a Firenze. Dottorando in teologia spirituale presso l’Ateneo S. Anselmo a Roma con una ricerca sulle visioni dell’aldilà nel monachesimo celtico. Counselor presso il Centro di Terapia Strategica di Arezzo diretto dal Prof. Giorgio Nardone. Guida numerosi corsi, ritiri ed esercizi spirituali, dedicandosi soprattutto ai giovani e al dialogo con i “lontani” e i non credenti. Da anni si occupa di educare ad una visione positiva del “fine vita”, tenendo conferenze, corsi e seminari nelle principali città italiane. È coordinatore dell’Associazione “tuttoèvita” Onlus, che propone percorsi di formazione individuale, professionale e di gruppo per avvicinarsi al tema della morte e della preparazione personale ad essa. Mihaela Dana Bucuță, PhD is a psychologist, psychotherapist, associate professor at the Lucian Blaga University of Sibiu, Romania. 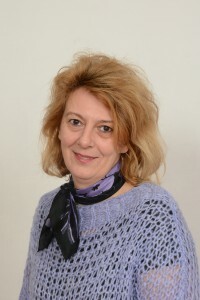 She is trainer and supervisor in psychodrama, president of the Romanian Association of Classical Psychodrama and member of the research committee of The Federation of European Psychodrama Training Organisations (FEPTO). Her research interests, studies and publications are in the field of depression, interpersonal violence, trauma, discrimination, psychotherapy and adult learning. Coordinator or member of national and international research projects, she has participated in numerous national and international conferences as a member of scientific committee, organizing committee, coordinator of workshops / papers. 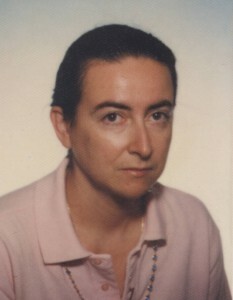 Dora Capozza is an Emeritus Professor of Social Psychology at the University of Padua. Fellow of the American Psychology Society (APS). 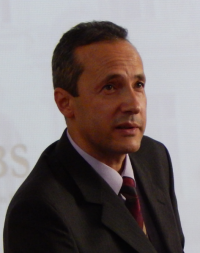 Professor of Psychology at the Sapienza University of Rome, where he has served as Chair of the Psychology Department, Dean of the Faculty of Psychology, and President of the Federate University of Humanities, Economics and Law. Director of the Interuniversity Center for Research on the Origins of Prosocial and Antisocial Motivations and a member of the faculty of the School for Advanced Studies (SAS), Sapienza University of Rome. His research has addressed issues in personality psychology, social psychology, and political psychology. Professor at the Department of Modern and Classical Languages at the University of Huston, Texas. 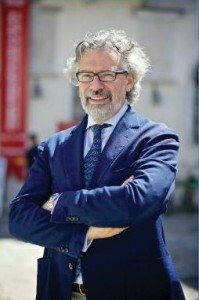 Director of Italian Studies. Graduate Director, World Cultures & Literatures M.A. Dr. Robert Crupi serves as Clinical Faculty, Palliative Care Fellowship Program and Chief of Corporate Health and Wellness at NewYork-Presbyterian/Queens. He is board certified in Internal Medicine, Geriatric Medicine, Hospice & Palliative Medicine, and Emergency Medical Services. Dr. Crupi is Vice President of the Regional Emergency Medical Services Council of New York City (NYC) and Co-Chair of the NYC Adult Immunization Coalition serving with the Assistant Commissioner, Bureau of Immunizations, NYC Department of Health. Dr. Crupi has spent much of his career involved in community outreach to diverse populations and is a board member of the China AIDS Fund. Psychologist and PhD. In Social and Personality psychology at the University of Padua. Since March 2014 she is the Secretary of the Order of Psychologists of Veneto. 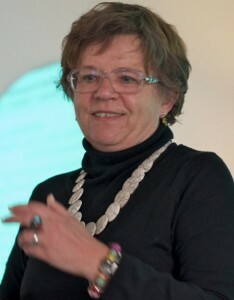 Her research interests are : a) organizational diagnosis in a organizational wellness perspective and prevention of occupational discomfort and work-related stress risk using an integration of qualitative and quantitative methodologies; b) humanization of assistance , care and quality of health services, focussing on organizational and personal dimensions. Director of the II level Master “Valutazione, formazione e sviluppo delle risorse umane. Analisi organizzativa e interventi, prevenzione del rischio”. 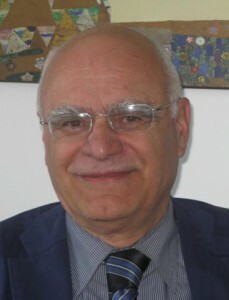 Professor of societal marketing and organizational wellness at the University of Padua, where he conducts the CIRD- Interdepartmental Centre of Research on work-related Distress. He is former president of the the Degree Programme in Psychological Sciences: Social and Work Psychology, he also directed the Department of Applied Psychology. Research and professional areas: ethical and change reasons; measurament tools and data analysis; performance and quality improving at an individual and collective level; assessment of wellness and distress for the individual and the organizations; techniques of communication; techniques of selection and enhancement of skills ; the acknowledgment of the values and of the positive irrational for the individual and for society; transformative formation. Professor at the Australian Institute for Suicide Research and Prevention of the Griffith University. Professor De Leo’s research expertise includes definitional issues in suicidology, culture and suicide, international trends and national suicide prevention programs. He is former President of the International Association for Suicide Prevention and the International Academy for Suicide Research. He serves as a board member of the Australian Suicide Prevention Advisory Council and is Chair of the Advisory Committee to the Queensland Government Suicide Prevention Strategy. 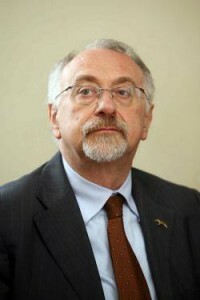 He is founder/co-founder of the Italian Society for PsychoOncology, the Italian Association for Suicide Prevention and the International Academy for Suicide Research. È uno storico italiano. Insegna Storia contemporanea all’Università di Torino. Professore Ordinario di Storia Contemporanea presso la Scuola di Studi Superiori Ferdinando Rossi dell’Università degli Studi di Torino. Autore di trasmissioni radiofoniche e televisive, collabora, con «La Stampa», «Tuttolibri» e il programma di Rai Storia Italia in 4D. È membro della direzione di «Passato e Presente». Autore del saggio “Le ragioni di un decennio. 1969-1979. Militanza, violenza, sconfitta, memoria”, pubblicato da Feltrinelli, in cui è narrato un decennio di storia italiana a partire dalla strage di Piazza Fontana del 1969. 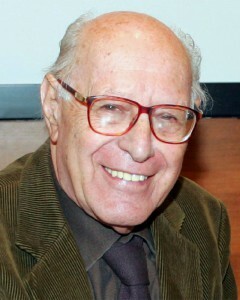 He began his academic career at the “Alma Mater Studiorum” University of Bologna. 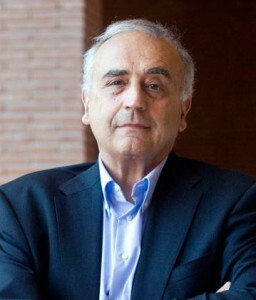 Full Professor of Social Psychology at the University of Trento (1994-2002) and at the University of Modena and Reggio Emilia (2002-2015), where in 2006 he founded the Research Centre on Interethnic Relations, Multiculturality and Immigration (http://www.rimilab.unimore.it) and where he actually teaches Community Psychology. 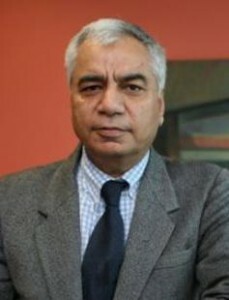 During his career he has been Scientific Coordinator of many research programs funded both by national and local public institutions and by private companies. 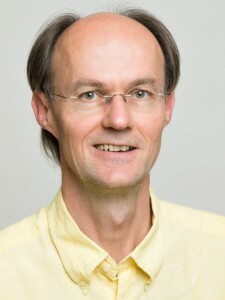 His research interests within the field of Social Psychology concern intergroup relations, prejudice reduction techniques, intergroup contact, implicit attitudes, acculturation processes. Professor of Psychology at the Department of Social Sciences and Social Work, University of Applied Sciences Darmstadt, Germany; Clinical Psychologist and Psychotherapist; Member of the Senate and of the Equal Opportunity Commission. Master in Peacekeeping and Security Studies, Roma III (2000). Research interest and publications in psychosocial fields related to International Cooperation. She has been working as International Consultant for UN agencies, the European Commission and International NGOs until 2006. Professor in the History of Medicine and Psychiatry at the Department of Psychological Medicine at the King’s College, London. His research focuses on how soldiers and civilians cope with the stress of war and investigates its impact on their psychological health in the aftermath of conflict. He has also explored the expression of distress both as a narrative and in the form of medically unexplained symptoms. 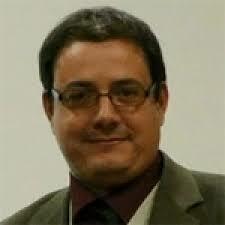 Edgar Jones serves on the editorial boards of the British Journal of Psychiatry and History of Psychiatry. He is a trustee of the mental health charity, Careif. Medico Specialista Psicologia Clinica – Psicoanalista SPI (Società Psicoanalitica Italiana) – Gruppoanalista GASi (Group Analytic Society International) – Presidente COIRAG (Confederazione di Organizzazioni Italiane per Ricerca Analistica sui Gruppi), Esperto PsicoTecnologie e Disturbi da Abuso del Digitale, Esperto Psicologia di Emergenza, Esperto Disturbi del Comportamento Alimentare, Coordinatore e Supervisore Equipe Psicoterapeutiche, Riabilitative e Rieducative, Fondatore e Direttore di Psychomedia.it (Testata Registrata nel 1996 presso il Trib. Civ. di Roma). Roberta Maeran is an associate professor in psychology of work and organizations at the Department of Philosophy, Sociology, Education and Applied Psychology the University of Padua. Member of the Organizations sector of AIP – Italian Association of Psychologists, Organizational sector, member of CIRPA – Interuniversity Centre for Research in Environmental Psychology and ARIPT – Association Interdisciplinary Research in Psychology of Tourism. 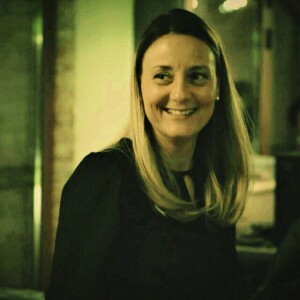 Since 2007, she is the editor in chief of the journal “Turismo e Psicologia –Rivista Interdisciplinare di Studi, Ricerche e Formazione, Padova University Press. She has contributed to more than one hundred publications on magazines and monographs. The results of her major research were presented in national and international congresses of work psychology. Knight of Great Cross for cultural merits, the highest of the Italian honours. Between his many publications Ebla. An Empire Rediscovered (Doubleday 1978), Il sovrano e l’opera. Arte e potere nella Mesopotamia antica (Laterza 1994), L’arte degli Assiri (Laterza 1996), La storia dell’arte dell’Oriente antico, 3 vols (Electa 1996-2000), Prima lezione di archeologia orientale (Laterza 2008), Gli Archivi Reali di Ebla (Mondadori 2010), Ebla, la città del trono. Archeologia e storia (Einaudi 2012), Ebla and Its Landscape. Early State Formation in the Ancient Near East (with N. Marchetti, eds, Left Coast 2013), Studies on the Archaeology of Ebla, 1980-2010 (Harrassowitz 2013). Francesca Menegoni is Full Professor of Moral Philosophy and Director of the PhD Course in Philosophy at the University of Padua. Research Area: ethics and philosophy of action; philosophy of religion; German Idealism. 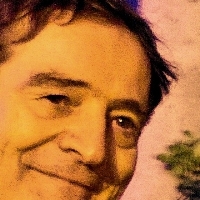 Member of the Executive Board of the International Hegel Association and of the Forschungszentrum für Klassische Deutsche Philosophie/Hegel-Archiv. Member of the Editing Committee of the reviews “Hegel-Studien”, “Bulletin de littérature hégélienne/Archives de Philosophie”, “Verifiche”. Professore Ordinario di Storia della Filosofia Morale all’Università degli Studi di Padova. 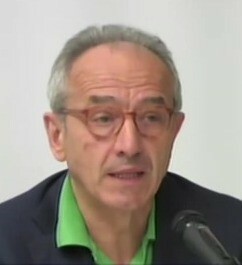 Direttore del Dipartimento di Filosofia, Sociologia, Pedagogia e Psicologia applicata (FISPPA). I suoi studi si incentrano su etica filosofica, con particolare riferimento alla storia del pensiero contemporaneo; filosofia inglese ed americana; filosofia italiana del Novecento, in particolare il “pragmatismo” e l’etica “utilitaristica”; principali problematiche in ambito di bioetica. Ha collaborato alle più significative riviste di studi storico-filosofici. Svolge da circa un ventennio attività pubblicistica sulla stampa quotidiana su temi di politica universitaria e scolastica, nonché su argomenti di valenza etica e culturale. Director of Center for Psychological Research. Fields of interest: Clinical and forensic psychology, Social psychology (Psychological assessment, coaching and training, psychological tests building, psychological counselling). Activities: Director of Association for Qualitative and Intercultural Studies in Psychology, Cisnadioara / Michelsberg, Sibiu, Romania. Organizing scientific and educational events (professional events, lectures, training courses, workshops, symposiums, conferences); Counseling, documenting and informing on areas relevant to social and human sciences; Putting together, editing and distributing scientific papers, either belonging to our Association or others (magazines, books, brochures, specialized software, assessment tools, etc. ); Establishing co-operating relationships and partnerships with persons or similar organizations all around the world. Dr. Orkibi is a qualified psychodramatist, researcher, and lecturer at the Graduate School of Creative Arts Therapies, University of Haifa, where he also serves as the Head of International programs. 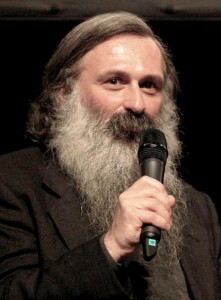 Vice-President of the Israeli Association for Psychodrama and is a member of the Israeli Association of Creative and Expressive Therapists (Yahat). His practice involves psychodrama with youth at-risk, teaching, and administration. Among his research interests: psychodrama and positive psychology outcome and change process studies; professional development and training. Professore ordinario di Sociologia delle religioni nel corso triennale di Scienze Sociologiche e di Religioni e Società nella Laurea Magistrale in Sociologia. E’ inoltre titolare del modulo Islam and Human Rights nell’European Master on Human Rights and Democratization. 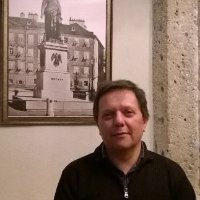 E’ stato Direttore del Dipartimento di Sociologia dell’Università di Padova ed è attualmente Direttore del Centro Interdipartimentale di Studi Interculturali e delle Migrazioni (CIRSIM) e Coordina il Gruppo di ricerca LABREL (Laboratorio Religioni). E’ stato Presidente dell’International Society for the Sociology of Religion (ISSR/SISR) e Coordinatore della Sezione di Sociologia della religione dell’Associazione Italiana di Sociologia. Co-Founder and Director of the Center for Applied Research and Evaluation – International Foundation – Careif, a charity based at the Center for Psychiatry, Barts and the London School of Medicine and Dentistry in the Queen Mary University of London. 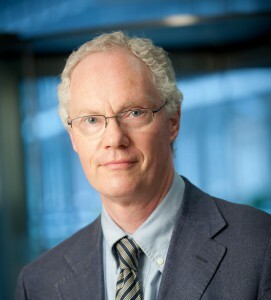 He also crafted, co-authored and co-edited the Mental Health Legislation Resource, an introductory compendium of some of the most commonly used legislation in mental health and has written many papers in the areas of culture and mental health, post natal depression, and the law and clinical practice. He is also a founding member of Primary Care Mental Health and Education (PRImhE) which promotes the development of primary mental health care evidence-based practice. 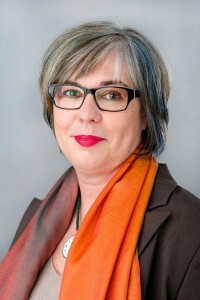 Professor at the Department of Gender Studies at the Central European University, Budapest, where she is teaching courses on social and cultural history of Europe. Her books include: Women in Hungarian Politics 1945–1951 (Columbia University Press/East European Monographs New York, 2003), Geschlecht, Politik und Stalinismus in Ungarn: Eine Biographie von Júlia Rajk. Studien zur Geschichte Ungarns, Bd. 12. 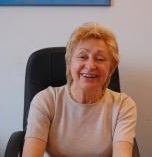 (Gabriele Schäfer Verlag, 2007). Presently she is working on gendered memory of World War II and political extremisms. Research Areas: European Comparative social and gender history, gender and politics, women’s movements, qualitative methods, oral history, Holocaus. Marina Santi (PhD) is Professor in Didactics and Inclusive Education at Padova University, Italy. Her research deals with dialogue, argumentation, social interaction in learning. Expert in P4C, she carried out a wide range of empirical studies on the effectiveness of philosophizing on development of complex thinking, considering community of inquiry as inclusive environment. Her recent studies focuses on improvisation in teaching and learning. Recent publications: (with E. Zorzi) *Education as Jazz *(2016); (with S. Oliverio) *Educating for Complex Thinking through Philosophical Inquiry* (2012); *Improvisation Between Technique and Spontaneity* (2010). Psicologo, Psicoterapeuta. 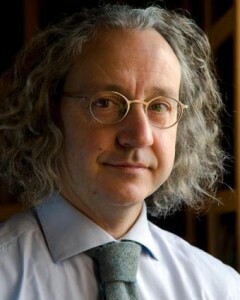 Professore ordinario alla Facoltà di Psicologia, Università di Padova. Fondatore e direttore del Servizio di Assistenza Psicologica (SAP) agli studenti dell’Università di Padova. Promotore e direttore della Scuola di Specializzazione in Psicologia clinica dell’Università di Padova, Facoltà di Medicina a di Psicologia. Socio fondatore e Direttore Scientifico della Scuola per psicoterapia riconosciuta dal MIUR del Centro di Psicologia e Analisi Transazionale di Milano. Psychologist and psychotherapist. 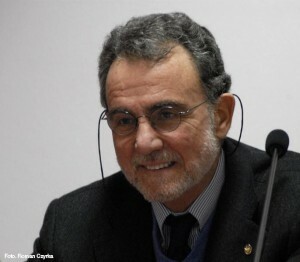 Presindent of AS.VE.GR.A., “Associazione Veneta per la Ricerca e la Formazione in Psicoterapia Analitica di Gruppo e Analisi Istituzionale”, a no-profit organizations formed by psychotherapists of psychoanalytic orientation and formation. AS.VE.GR.A is especially interested in improving the theories and techniques for the use of groups in the therapeutic field. Emanuele Severino (Brescia, 1929), he graduated in 1950 at the University of Pavia. 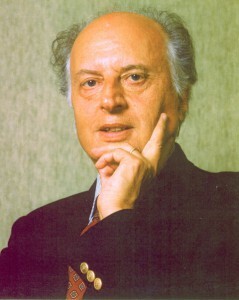 From 1954 to 1970 he taught philosophy at the Catholic University of Milan. The University Ca ‘Foscari of Venice has called him and there it is one of the founders of the Faculty of Humanities. Since 2001 he has been professor of theoretical philosophy, he directed the Institute of Philosophy until 1989; he also taught Logic, History of Modern and Contemporary Philosophy and Sociology. In 2005 the Venetian universities proclaims professor emeritus. 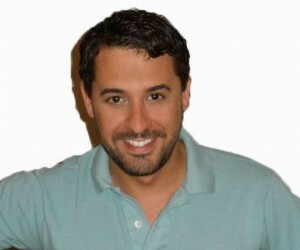 Currently he teaches at San Raffaele Hospital in Milan. It is academic of the Lincei. For several years working with the Corriere della Sera. Professore Straordinario a tempo determinato di Psicologia Clinica, Università degli Studi Europea. 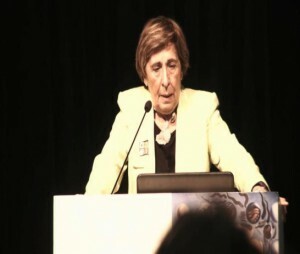 Graziella Fava Vizziello is a surgeon specialized in nervous and mental diseases. Since 1988 she works full-time at the University of Padua where she is involved in research regarding longitudinal and transgenerational studies of the general population, in large premature, in families with issues of drug addictions and / or psychoses and, finally, in adoptive families. Coordinator and supervisor for the clinical Apad Service (Psychological Assistance to Employees of the University and their families) and head of the Service for parenting and development of children. Between 2000-2012 shes was Director of the II level Master “Parenting and development of children, preventive and psychotherapists” of the University of Padua. 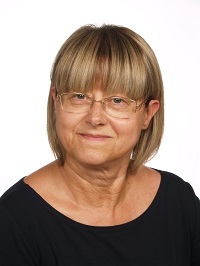 She is also president of AEPEA (European Association of Psychopathology of childhood and adolescence) and, since 2009, president of AEPEAsi (Italian section). – Holder of the “Zerka T. Moreno Award”. Docente universitario di Lingua, civiltà e Lettere italiane presso l’Università di Monastir (Istituto Superiore di Lingue applicate di Moknine) dal 2007. Ha insegnato anche all’Università di Messina come professore ospite del Dipartimento di Civiltà Antiche e Moderne. Ha pubblicato diversi articoli in riviste culturali tra cui “Amaltea”. Nel 2015, è stato insignito del premio letterario nazionale « Carlo Levi », XVIII edizione 2015 ad Aliano per la Sua tesi di Dottorato discussa presso la Facoltà di Lettere, delle Arti e delle Umanità della Manouba (Tunisia) ed intitolata « Riflessi del Mezzogiorno nell’opera narrativa di Carlo Levi ».